If you want to add a dynamic and vivacious vibe to a room, the 60 Inch built-in Crystal Astoria fireplace will do just that. Its perfect length and proportion, as well as its sleek design, makes it the showpiece of any room it is placed in. The realistic flame coupled with its innovative Crystal style, makes the Astoria the most revolutionized fireplace on the market. 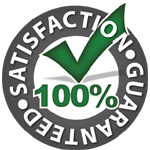 I had purchased a competition fireplace at first it looked great but after 3 months would not turn on. After returning, I decided to purchase one of these and take a chance. I am so happy i did!. The quality completely blows the other out of the water. Been 7 months and so far so good. Im really thrilled with the quality. Highly recommended. 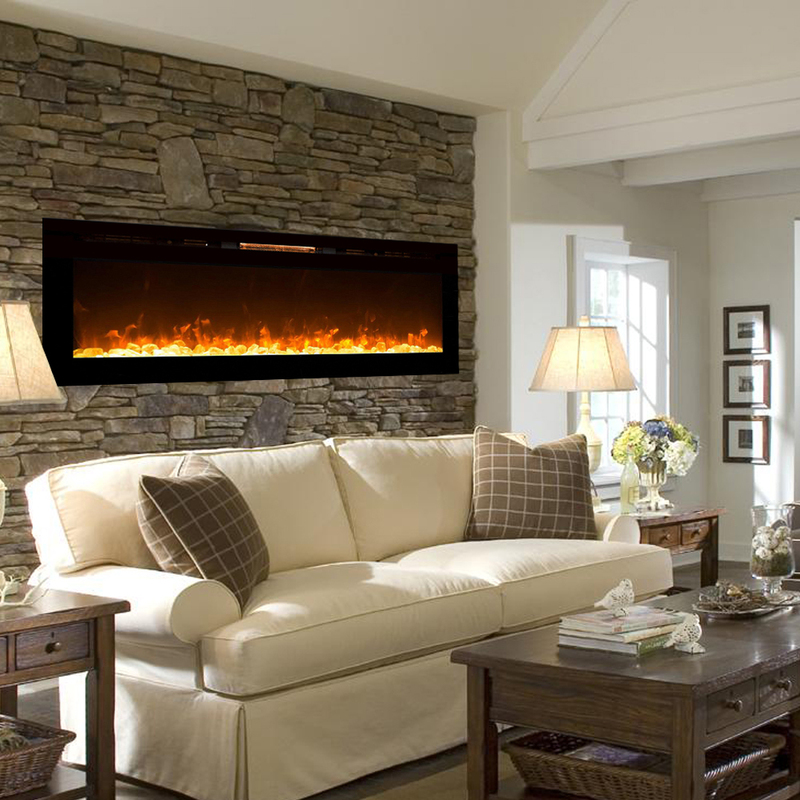 I wanted to wait a little while before reviewing this fireplace to make sure it performed as desired. It's been an excellent addition to our newly remodeled basement. Looks really nice and the flames provide a calming atmosphere for the room. People here have asked if it looks like a real fire ... um, no ... it's an electric fireplace. It's going to fool no one. But to me that's not the point; I'm not trying to pass it off as a wood fire, it's a much more contemporary take on a fire feature. And it looks good. The flames are not cheesy looking - it looks like a high-quality electric fireplace. I am really surprised by the excellent quality at such an affordable price. The fireplace arrived well packaged and was very easy to install. The flames look totally real and I like the fact that the flame intensity is adjustable. 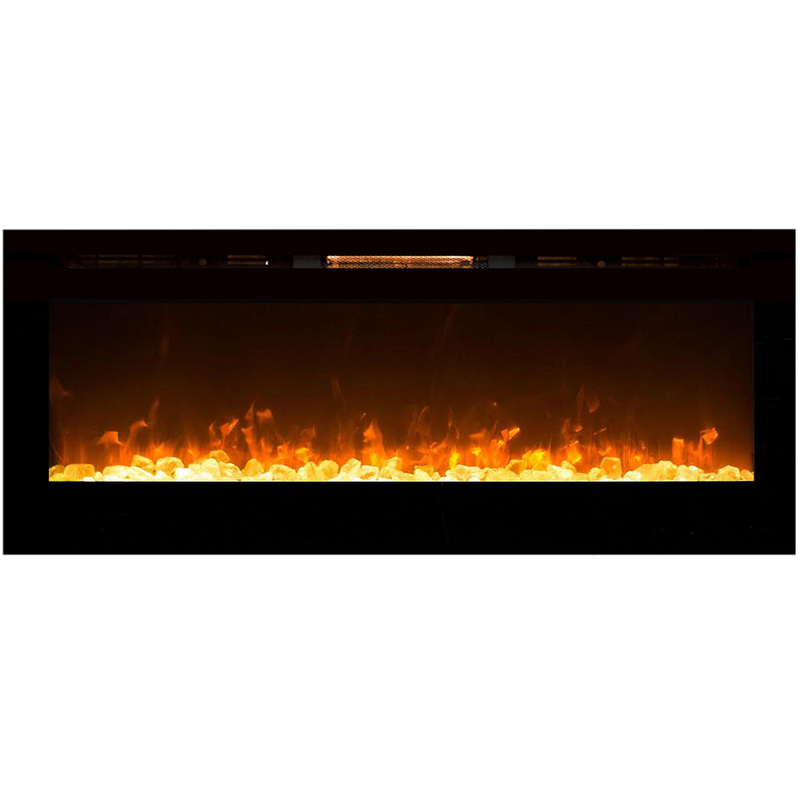 Would definitely recommend for anyone looking to for a real cool fireplace. Even nice with the no heat option! We love the sleek look and the flames look real. 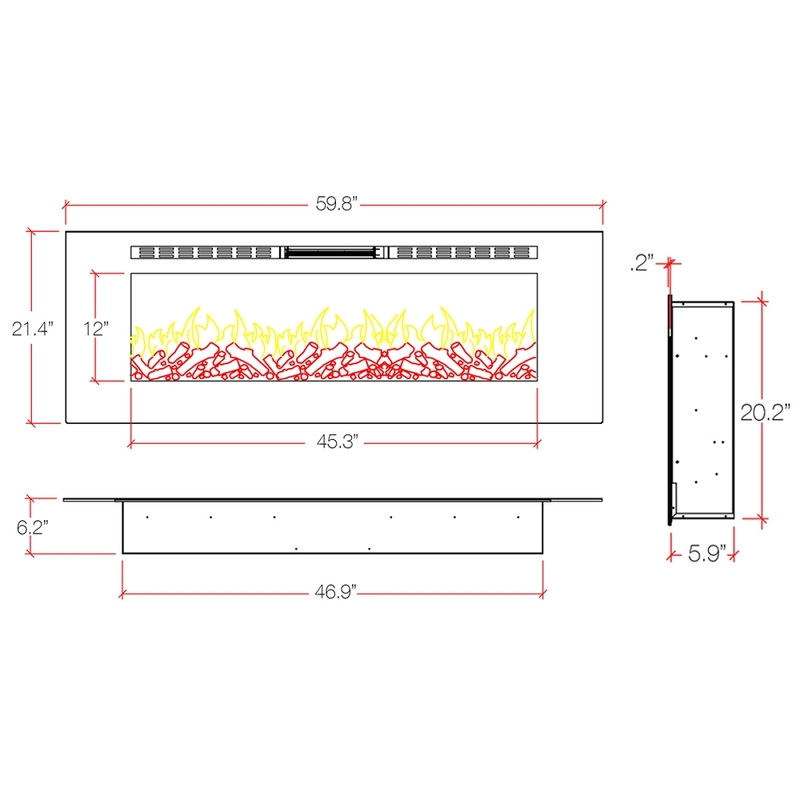 We are very pleased with this purchase and would recommend this fireplace to anyone. We also love the no heat feature so we can enjoy the fireplace all year long.